My favorite LGS is closing, and the owner called me today to tell me he was holding a P365 magazine for me. I went to pick it up, and came home with a lot more stuff. Some I needed, some I could use, and the rest I'll list here. All items are brand new. First "I'll take it" gets it. I don't use PayPal, but money orders are certainly fine. Checks are okay, too, from longstanding members. Thanks, all! ETA: Please include your SF username in your email if it's different from your email address. It helps me keep track of who's who. Thank you. (1) Sig P250C magazine. MAG-250C-9-15N. $40, shipped. (1) Sig P250F magazine. MAG-250F-45-10. $40, shipped. 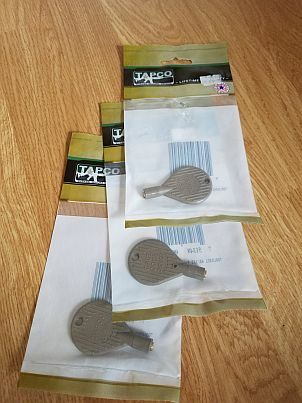 (3) Tapco AK/SKS front sight tools (TOOL0301). $10, shipped. 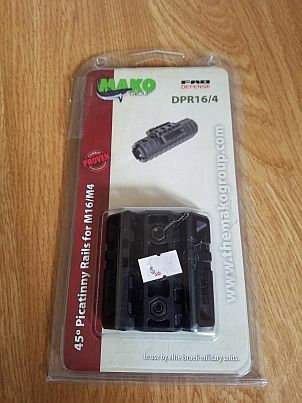 (1) Mako Group DPR16/4 45° Picatinny rail set. $15, shipped. (2) Magpul MOE K Grip. $25, shipped. 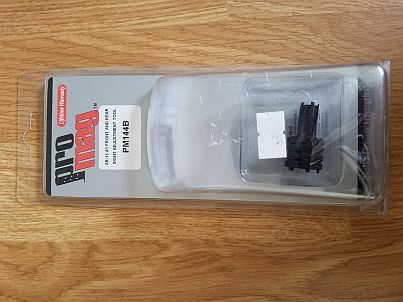 (1) Pro Mag PM144B AR-15 A1 F/R sight tool. $15, shipped. 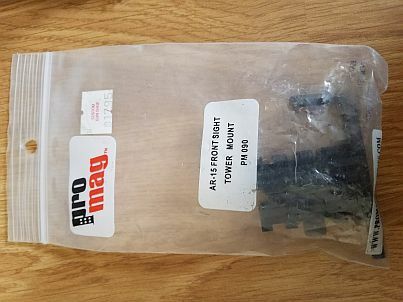 (1) Pro Mag PM090 AR-15 front sight tower mount. $10, shipped. (1) AGF-43S folding pistol grip. $20, shipped. 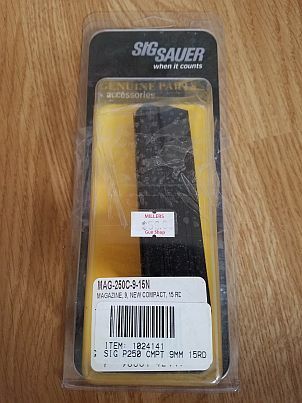 Adding four Glock 22 15-rd magazines, $85, shipped.